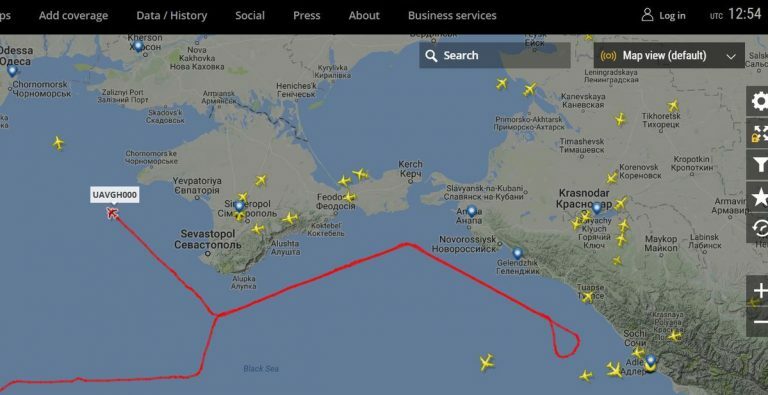 The monstrous Global Hawk is watching Russian-occupied Crimea. The sensor package they carry is incredibly high-resolution with amazing depth of vision. The electronic detection package is also astonishing. Notice the strategic Global Hawk stays in international airspace at 52,000 – 53,000 feet. 10 hours of hovering allows a lot of detailed reconnaissance. 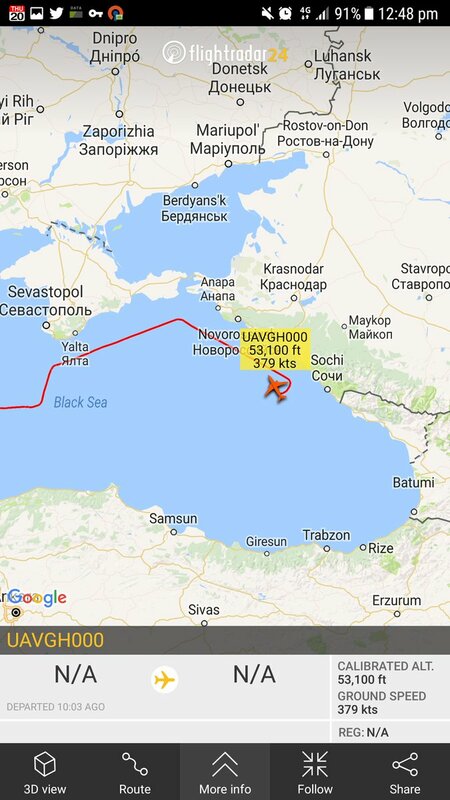 53,000ft over the Black Sea, skimming the Russian coastline (international airspace). 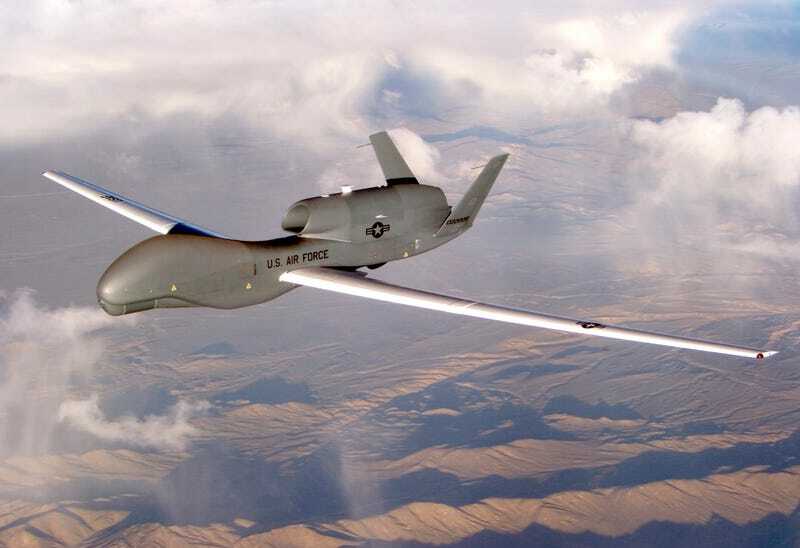 Previously, strategic unmanned aircraft, US Air Force RQ-4A Global Hawk on May 14 made the 10-hour reconnaissance flight along the boundary line in the Donbas. RQ-4 Hawk Global – strategic reconnaissance drone. The first flight carried 28 lyutoho1998 year airbase United States Air Force in California. The first Global Hawk unit was transferred to the naval forces of the United States in 2004 and began combat missions in March 2006. Features Northrop Grumman UAV RQ-4 Global Hawk which conducts reconnaissance to a depth of 300 km.